Short, white-haired, walking with a cane—Ivy Bottini commands attention when she walks into a room because she’s earned it. 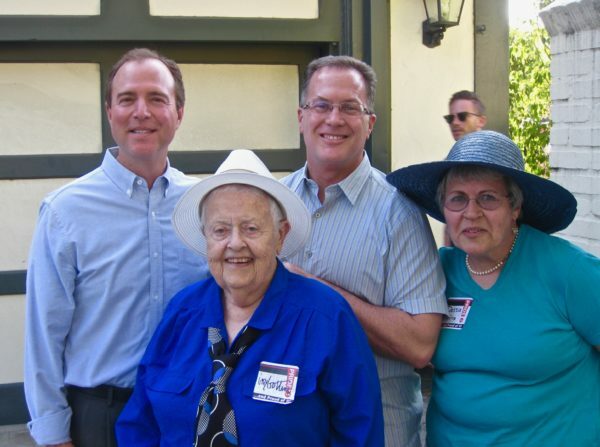 But after almost five decades of making a difference in Los Angeles County—roughly two of which were as a pot-stirrer on the West Hollywood Lesbian and Gay Advisory Board—Bottini, 93, is moving to Florida on Feb. 1 to live with her daughter. She plans to continue painting, go fishing and find a Democratic club so she can keep giving ‘em hell—whoever the deserving “they” might be. 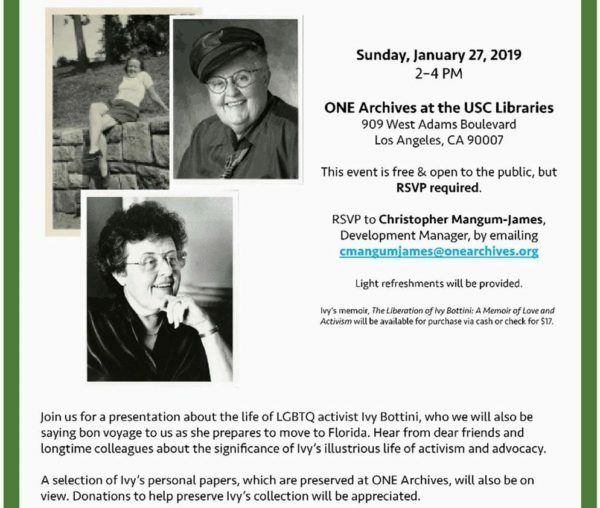 Bottini leaves WeHo with her not only her wit and wisdom but the history of how she became an activist: her struggle to embrace an authenticity that dare not speak its name; then standing up to hypocritical freedom fighters who tried to determine who gets to be free. But Bottini did not spring full-born, ready to fight, from Athena’s brow. Like other female mortals before the Women’s Liberation movement, she went along with society’s flow, assuming her expected role as suburban wife and mother—until she just couldn’t anymore. 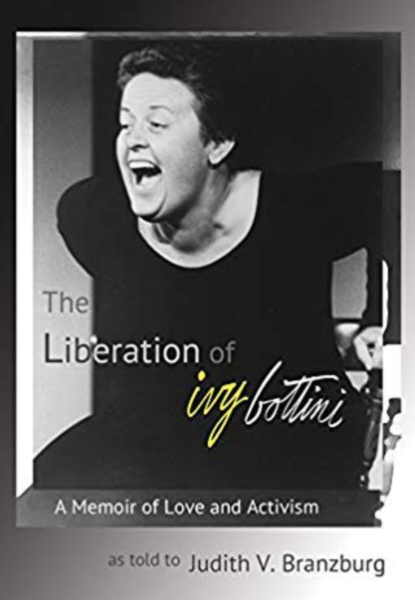 That part of Bottini’s story—told in her book The Liberation of Ivy Bottini, A Memoir of Love and Activism —is as important as all the protests she’s organized. Her story may not be a blueprint for every LGBT activist, but it illustrates how grappling with personal truth in life-changing moments may yield an ineffable inner light of freedom that no one can extinguish. Born to Long Island cab driver and former boxer Archie Gaffney and his unhappy housewife on August 15,1926, Bottini’s tomboy life was good until her father died in a car crash. Suddenly their expenses were severely limited. Luckily, she got a full scholarship to the Pratt Institute of Art and Design to study advertising, graphic design and illustration. After graduation, she worked in New York City art and advertising agencies—before the freer era depicted in “Mad Men.” In 1952, she married the young man across the street, Eddie Bottini, had two daughters, Laura and Lisa, and quietly struggled with her silent attraction to women. Bottini, an art director and illustrator at Newsday (from 1955-1971), finally called an old friend from school and asked to come over. Embarrassed, she asked Doris, “this wonderful dyke,” to take her to a gay bar. To which Doris replied, “God we (their basketball team) thought you’d never get it.” They went to Jan’s on the north shore of Long Island where Bottini was mesmerized by a woman dancing on the small dance floor. The next night Bottini went back alone, sat at the bar and finally worked up the courage to ask that same woman, Nancy, to dance. “That changed my life that evening. I just felt when I walked in there by myself, I felt like I had walked into my home, where I was supposed to be. So over the next handful of years, I struggled,” she says. 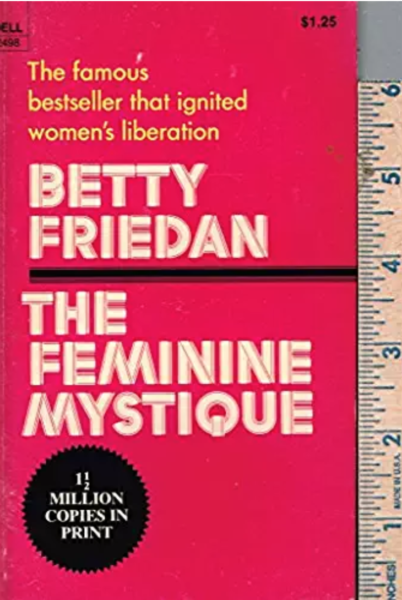 Then in 1966, Newsday reporter Dolores Alexander told Bottini about an amazing interview with Betty Friedan, whose book “The Feminine Mystique” “was all the rage.” Dolores took Bottini to a women’s meeting in New York City “and soon I was helping to found the first chapter of the National Organization for Women (NOW)” with Dolores. 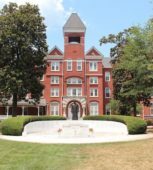 She also joined national NOW where she served on the board for three years. Bottini called a friend in Levittown who invited her over and offered her a room for as long as she needed one. She joined a social club and called her husband to say she couldn’t come home as long as he was there. Eventually he left and she went home, though the couple didn’t divorce until 1972. Delores Alexander called Bottini about a three-bedroom condo with a great kitchen, balcony and view on West 93rd Street for $350 a month. She snapped it up and moved in with her daughter Laura while her youngest daughter moved in with her dad. “My life became totally different in one fell swoop,” she says. Bottini came out unexpectedly when answering a question at a 1968 New York City NOW press conference. Without realizing it, she referred to herself as a lesbian. But once out, she doubled down. “I accepted that I was a lesbian and as I accepted this, my life changed considerably,” Bottini says. She was elected president of New York NOW and served two terms. Her consciousness raising workshops were picked up by NOW chapters throughout the country, as was the national NOW logo she designed at the request of national NOW President Aileen Hernandez. 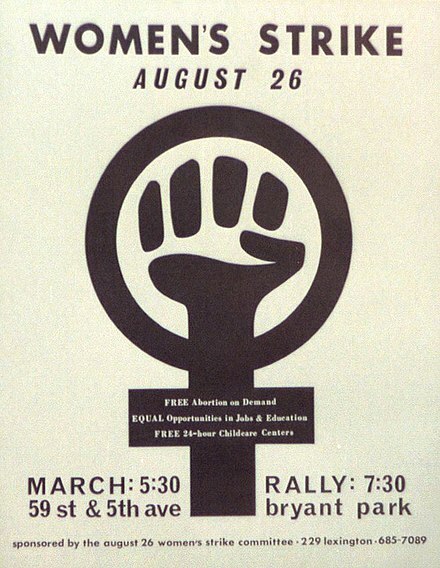 In 1969, Bottini introduced the struggle for lesbian rights into the women’s movement through a panel entitled, “Is Lesbianism A Feminist Issue?” But she was shocked by the response of the “mother” of the feminist movement, Betty Friedan. 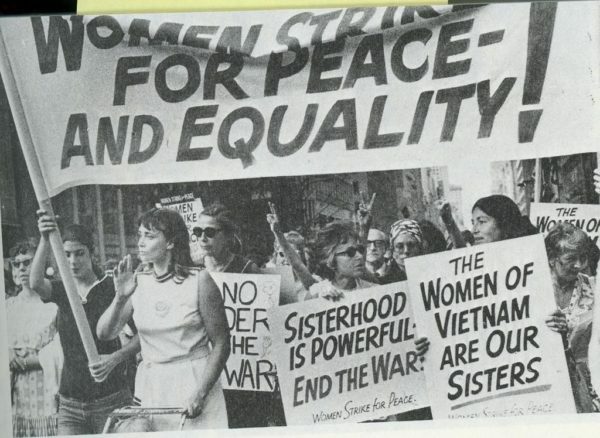 Bottini organized the August 26, 1970 Strike for Peace and Equality to commemorate the 50th anniversary of the passage of the 19th Amendment granting women the right to vote. The women’s march drew an estimated 50,000 people marching down Fifth Avenue. But one moment threw shade on the glorious celebration. Bottini handed out lavender armbands to show solidarity with the oppression of lesbian sisters. Though prominent feminists such as Gloria Steinem accepted them readily, Friedan, Bottini later told the Los Angeles Times, threw the armband on the ground and twisted it with her heel. 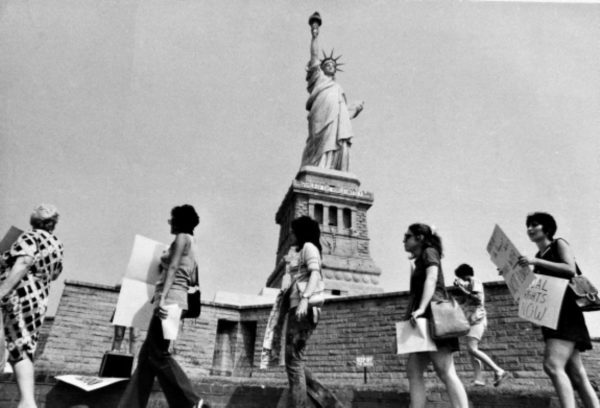 In fact, the Statue of Liberty was an accidental event in lieu of vandalizing another New York statue. When she took over as president, Bottini instituted weekly NOW meetings for different programs, after which the group would grab beers at Remo’s, a bar in Greenwich Village. One night a lesbian couple from Queens who skipped the meeting showed up at the bar. Concerned, Bottini asked what happened. This is happening at the same time that Bottini is organizing the Women’s March for Equality so she gives the committees free reign. “So comes the 10th of August and now we are at the day we will take over the Statue of Liberty. We go over on two different ferryboats and we get off and some of the women start sauntering hither and yon up to the statue. Their clothes were a little bulgy. They had a forty-foot piece of oil cloth, cut in pieces, put around different women’s bodies so they looked pregnant. “So, okay, that was great,” Bottini continues. “Now we gotta get the hell off the island because we’re on a federal island and you’re not supposed to be where we are and doing what we’re doing. And there are no ferryboats. They stopped all traffic coming to the island. So I looked back toward Manhattan and I see three police boats heading our way. Then I see two fireboats. So I think we are definitely going to the federal pen. We’re gonna get arrested. 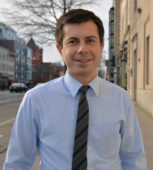 “They land and the captain gets off the middle boat and he’s got a bullhorn and he’s standing down on the little wharf. He yells up to me: ‘What are you women doin’ up there?’ And I go, ‘We’re playing guitars and singing.’ And he says, ‘Uh huh. Okay. How long are you gonna be?’ Which is not what I expected, ya know? And I go, ‘Oh, uh, probably no more than a half hour.’ And he goes, ‘Okay, I’ll be right here.’ And I said, ‘Thank you and I’ll be right here,” Bottini says, laughing. As Bottini returned to singing and marching, the captain ordered the three police boats to put on their sirens. “It’s going wup, wup, wup,” Bottini adds. “And the two fireboats were shooting off their water canons, which went way the hell up in the air. And so we got the wup, wup, wup and the whoosh, whoosh, whoosh goin’ and we had a party.” After which the ferryboats docked, the women boarded and went home. Photos of the takeover appeared in newspapers around the world, including the front page of a paper in Paris. Bottini left NOW in 1971 after being voted out, moving to Los Angeles to focus on her other loves—acting, comedy and the growing gay rights movement. She studied acting at the Lee Strasberg Institute and later toured the country for several years performing her lesbian feminist one-woman show, “The Many Faces of Woman.” At one point she had to go home suffering from Graves Disease but moved to Silver Lake full time in 1975. 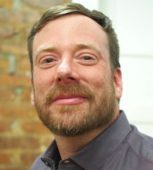 Bottini was hired by Susan Kuhner, Director of Programs at the LA Gay Community Services Center, as director of their women’s program. (Kuhner was later interim co-executive director with Steve Schulte.) 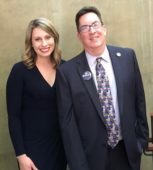 She left when she was hired by David Mixner and Peter Scott as Southern California Deputy Director of the campaign to fight the anti-gay Briggs Initiative. But at one event, Wilson was advising her gay and lesbian audience about how to act professionally in the straight world. 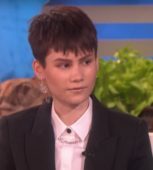 “When I heard ‘you should not come out,] I thought, ‘Oh, this is not gonna be good.’ The place was packed and Gail is saying, ‘Don’t come out, just do your job, keep your private life to yourself.’ And I was going to go through the roof because that’s exactly why we were being attacked because they never thought we’d fight back. Like, we weren’t gonna come out of the closet and stand up for ourselves because horrible things could happen to you. 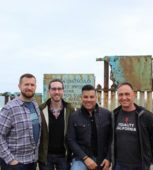 Bottini went on to become a successful real estate agent while continuing to paint and speak out against the closet and any type of assimilation. All those seemingly little life-changing moments helped create the powerhouse who took on politicians and the gay male establishment, including her Stonewall Democratic Club friend Morris Kight, when AIDS hit and no one knew what to do. 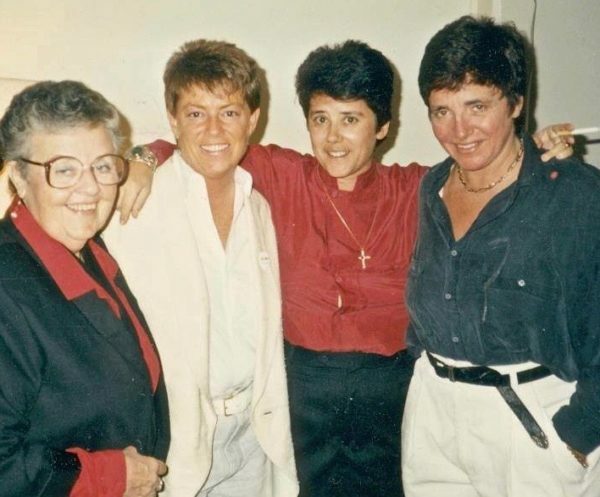 Bottini and her longtime gal-pal Dottie Wine organized a town hall meeting at Fiesta Hall in West Hollywood where Dr. Joel Weisman gave out information about how the new HIV virus was spread through bodily fluids, information that literally saved people’s lives. “I saw the danger,” says Bottini. “I saw the danger that we were about to get hit with while it was happening and we didn’t even know it. People’s lives were just being torn apart with deaths—and children being taken away from lesbian mothers—it was too much. I saw a tapestry of hurt and that’s what I was fighting. Oh, and Bottini’s most prized award? The apology she finally got from NOW.